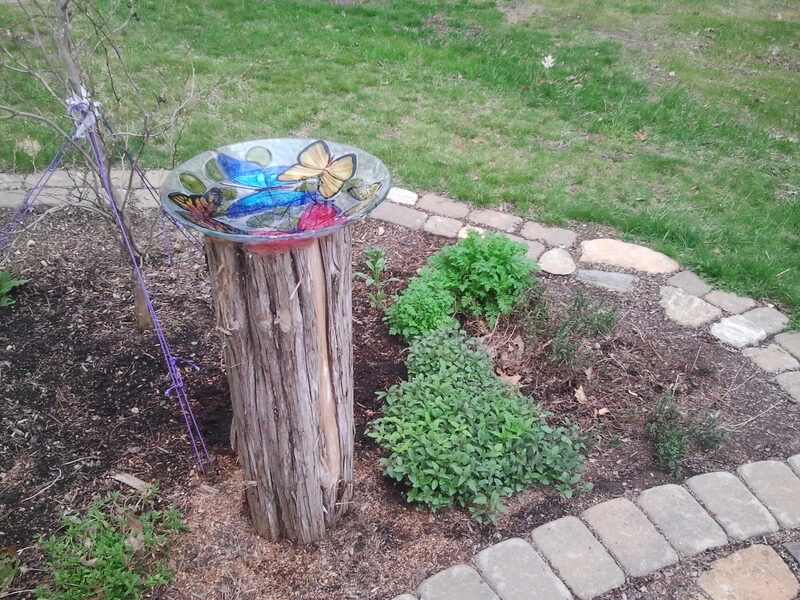 And speaking of the bees, the bee yard got a few upgrades recently as well. 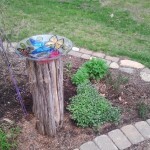 You can see the three hives in the background on their new bee stool. The new stand should accommodate about 8 hives if we want to grow that big. 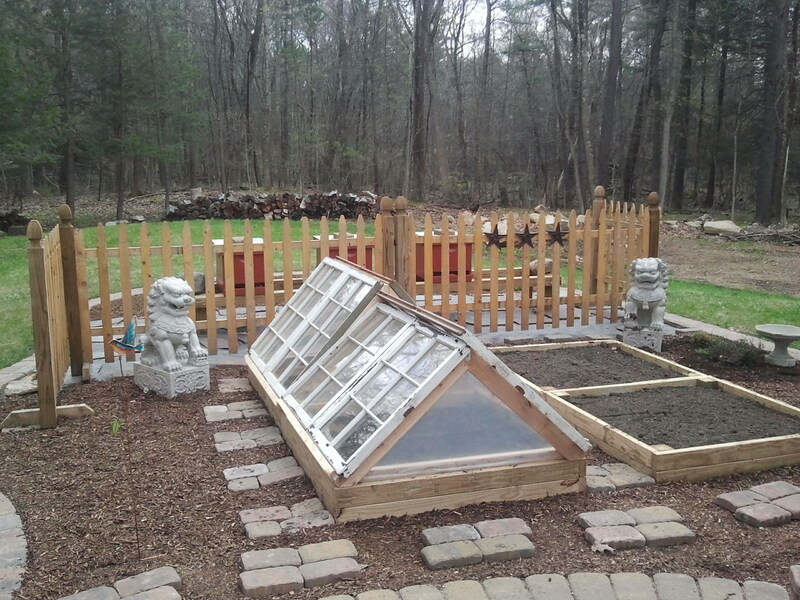 In front of the hives is a little hinged screen fence that will have some climbing flowers in a few months. 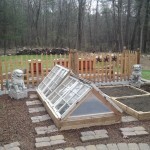 In front of that are four new raised beds and a couple of cold frames to help the young plants along. 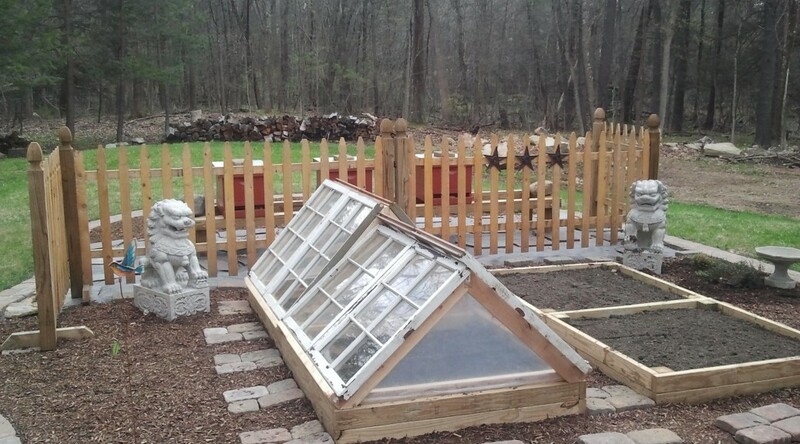 As we replace more windows in the house, well save the old sashes and add more cold frames in the coming years. With the groundwork laid, Lisa is ready for a lot of planting fun!